These personalized bat shaped clothes racks are perfect for any child's baseball room. 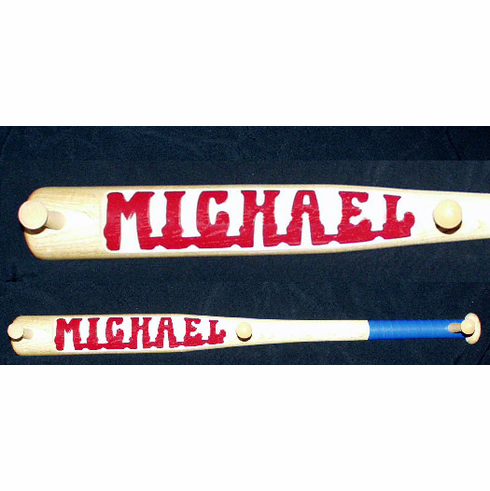 Up to 11 letters can be personalized...you choose the color of the name and the handgrip. 3 pegs will help teach your young all-star how to "clean up" and hang up their hats, coats, etc. 28" long, flat on the back with two nail holes to make hanging a breeze.